Anne Zahalka, portrait by Nick Cubbin. 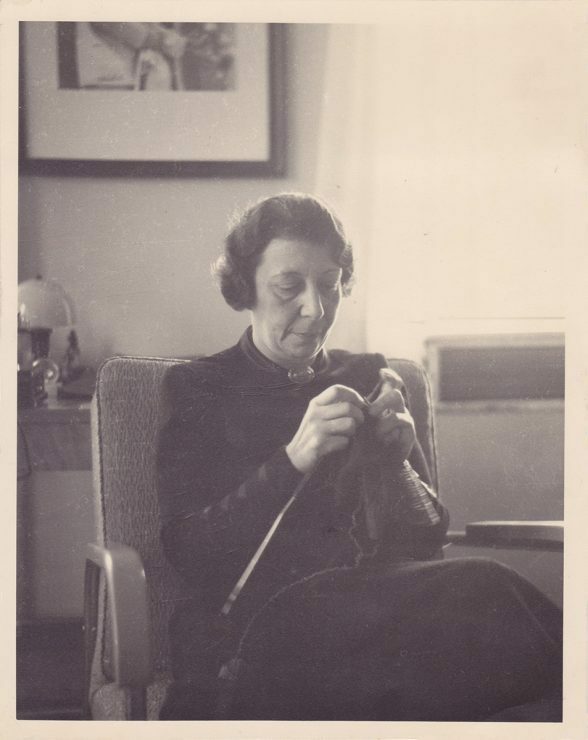 Margarete knitting, by Lore Lisbeth Waller. Using old letters and photographs, artist Anne Zahalka stitched together the journey her grandmother took in her efforts to survive the Holocaust. 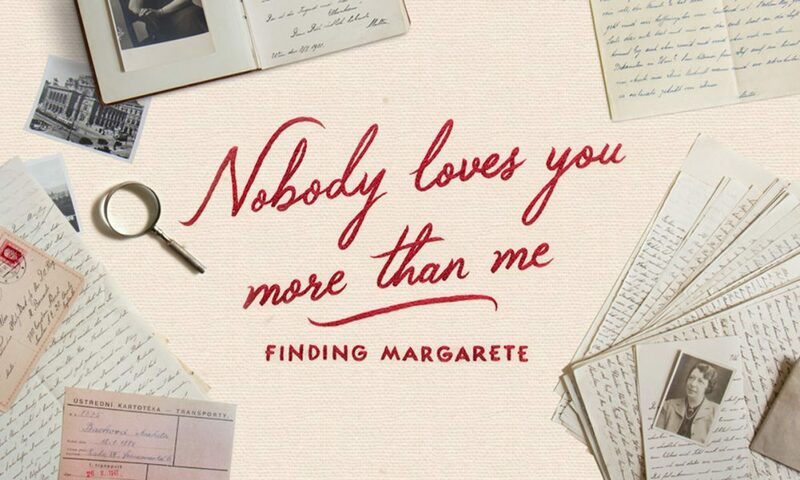 She then transformed this personal history into an interactive online documentary, Nobody Loves You More Than Me: Finding Margarete. Writer Briony Downes discusses with Zahalka the emotional impact of her research, and reflects on the symbolic importance of needlework in stories of cultural endurance. We would not be who we are, without those who have come before us. Growing up as the daughter of a Holocaust survivor, Australian photo-media artist Anne Zahalka knew little about her extended family. Anne’s mother Hedy had arrived in Australia soon after the end of WWII with only a small number of belongings. As a result, very few of Hedy’s possessions connected to her life prior to settling in Australia, a time she also found very difficult to speak about. It wasn’t until after Hedy’s death in 2016 that Anne uncovered a missing link to untold family history, tucked away in a cardboard box. In the process of packing up her mother’s belongings, Anne unexpectedly discovered a collection of letters addressed to Hedy dating from 1938 – 1941. She had never seen them before nor heard her mother speak of their existence. Postmarked from Europe, the letters were written in an elegant, long hand script Anne recognised from her mother’s childhood book of recipes. Hedy had carried the recipe book with her as she departed Europe via the Kindertransport in the late 1930s, destined for England. The letters were from her mother, Margarete – Anne’s grandmother. For Anne, the discovery of Margarete’s letters presented a way to stitch together absent chapters of her history, at a time when her mother’s passing signified an unravelling of sorts. “Finding the letters among my mother’s possessions after her death felt like a gift and I wanted to bring them to light,” she says. “These letters survived the bombing in London, the post-war period in Europe, the fleeing from communism, and their final passage to this shore.” Despite their distance, Hedy had written to her mother every second day over a period of two years. Margarete wrote back daily. These letters form the basis of the online documentary, Nobody Loves You More Than Me: Finding Margarete. 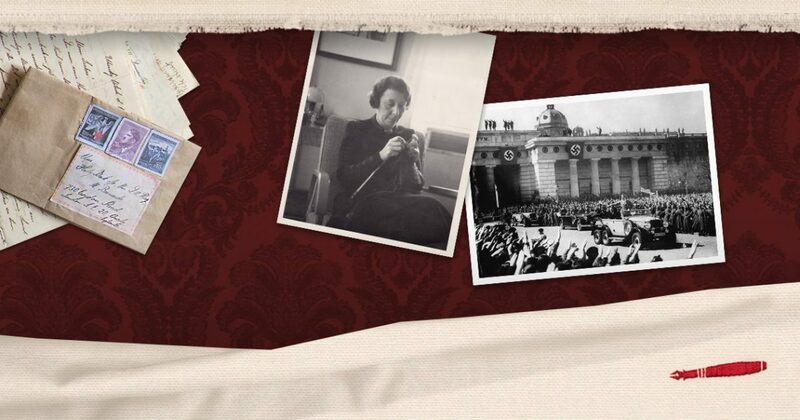 Part of the Untold Australia series produced by SBS, Finding Margarete is an interactive website allowing users to move through a series of letters stitched together by red embroidery thread. When ‘pulled’ these virtual threads reveal photographs and small collections of archival objects related to the letters. Once translated, the letters revealed Margarete’s intense heartache at being separated from her teenage daughters. Margarete was desperate to join Hedy and Lore in England, where they had been assigned jobs in domestic service following their arrival on the Kindertransport. Left behind in Europe, Margarete moved from place to place, at first staying with relatives in regional Czechoslovakia, then moving alone to Prague where she was eventually deported to Poland’s Lodz Ghetto, surviving there for three years until her transportation to Auschwitz in 1944. It is believed Margarete died at Auschwitz just months before its liberation. Although primarily text based, Finding Margarete also includes black-and-white images by Jewish photographer Henryk Ross. Like Margarete, Henryk was a resident of Lodz Ghetto and was tasked with taking identity photographs and images for Nazi promotional material from within the ghetto confines. Secretly salvaging film, Henryk captured thousands of images documenting life inside Lodz. Shortly before the end of the war, Henryk buried his photographs and negatives in a box on the Lodz grounds. In 1945 he was able to retrieve over 6000 of them and in Finding Margarete, Henryk’s images of Lodz provide a harrowing real-life context for Margarete’s letters. Connecting to the symbolism of Maricor/Maricar’s embroidery, knitting and sewing were activities regularly engaged in by Margarete and her letters speak of jumpers and cardigans she sent to her daughters to keep them warm in England. This makes me think of my own small collection of Latvian needlecrafts decorated with cross-stitched solar emblems of Saule and the star of Auseklis. My Latvian grandparents and their friends, most of whom arrived in Australia as Eastern European displaced persons in the 1950s, would display these handstitched motifs across domestic furnishings. In every Latvian home we would visit, they were proudly sewn onto pillows, embroidered sashes and blankets as an emblematic link to cultural and familial identity. While Anne has been a practicing photographer since the early 1980s, very few of her own images are included in Finding Margarete. 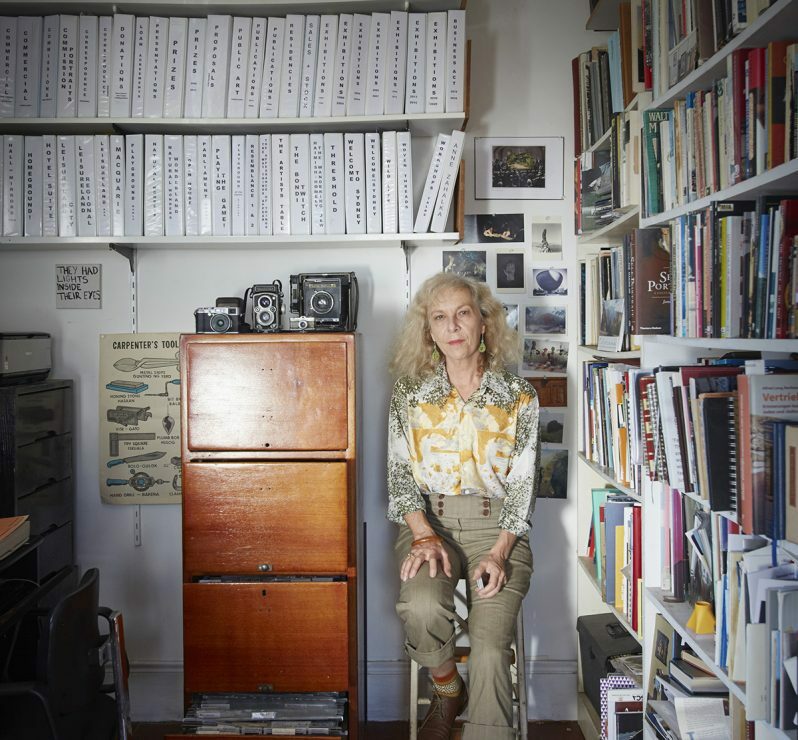 Anne Zahalka’s Nobody Loves You More Than Me: Finding Margarete can be found online at SBS, and her work will also feature in the two-person show, The Fate of Things – Memory Objects and Art, at the Sydney Jewish Museum. Please note: A correction was made on 10 October 2018 to correct a factual error in stating that Margarete survived the Holocaust, sadly it is believed Margarete died at Auschwitz. 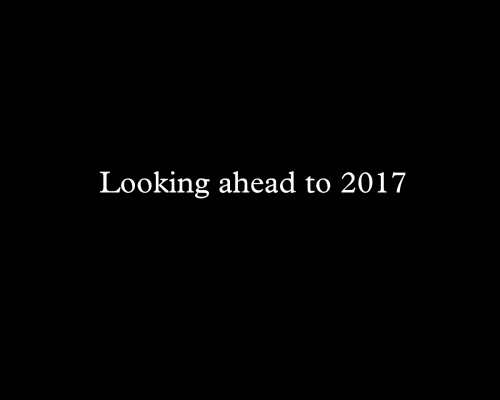 As 2016 draws to a close it’s time to rest, re-group and get ready for the New Year. Here are some great shows to look forward to in 2017.